I have only recently learned just how versatile an apple is. Of course, they are yummy on their own as a healthy snack (my favourite are Red Delicious). However, there’s many other ways to enjoy apples in a healthy way like applesauce, apple jelly, apple juice, etc. I have even been using apple sauce in some of my baking recipes in place of white sugar. I love to make oatmeal muffins with applesauce. They add a nice touch of sweetness and flavour and its great that I don’t have to use white sugar. There’s so much sugar in everything and its no extra effort at all to omit sugar and use apple sauce in your baking. 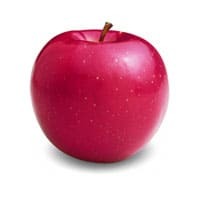 Apples are very good for you and have so many important health benefits. They are a source of antioxidants and help to reduce certain types of cancer. They are also shown to improve brain health and heart health so it is true when they say, “an apple a day keeps the doctor away”. 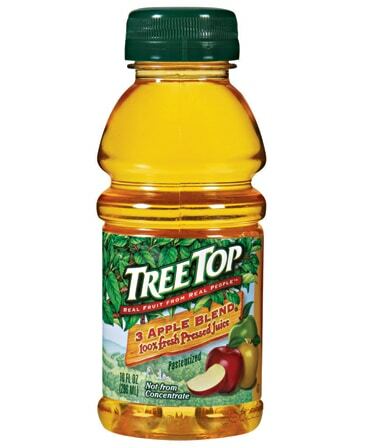 Tree Top is US fruit-processing co-op that is owned by more than 1000 apple and pear growers in the Pacific Northwest. They have been around for 50 years now and are celebrating a special anniversary this year! They want everyone to know just how much you can do with apples and apple by-products (ie. sauce, juice). I can think a few ways that I have used apple as an ingredient in my dishes with apple stuffing, apples in my chicken salad, baked apples with a touch of cinnamon, apple cider, apple flapjacks, apple muffins and the list goes on and on. 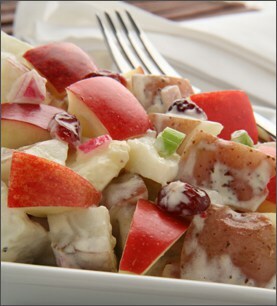 Tree Top’s website has a bunch of recipes using apples that you need to check out. They have my mouth watering and I learned many new ways to use apples in my cooking. I got to sample three of Tree Top’s products. It was my first time every trying any of their products and we thought they were fantastic. John loved the 3 Apple Blend Juice. He cannot get enough apple juice and his work canteen actually ordered in apple juice just for him because he drinks it so much. He said he could tell that their were a mix of apples in the juice because it had a more complex flavour and was very enjoyable. His words- “it was cool being able to taste the different apples”. I tried the Mango Peach Juice and found it delicious. I am not crazy about mangoes on their own, but with peaches it worked nicely. It tasted just like the fruit and I was glad that it wasn’t too sweet. I was sent one cup of the apple sauce and gobbled it up. I think those cups are a great healthy snack and this one was just as good (or better) than any I have tried in the past. It did have a little more pulp in it than I would have liked, but that’s just my personal preference. It had a pure, fresh apple taste. In celebration of the benefits of cooking with apples, Tree Top is holding a contest called “America’s Secret Ingredient”. To enter you need to submit your apple-themed recipes- super easy! Want to hear what the prize is? Its AWESOME!! Its a trip to New York City to attend the Food Network New York City Wine & Food Festival in October where you can meet some of the Food Network stars. Plus your winning recipe will be showcased at the festival. Sound interesting?? Contest ends July 26, 2010 and is open to US only. Visit Tree Top and learn more about apples and using them in your cooking. While you’re there, make sure to enter your favourite apple recipe into the contest! Hi Stacie! I’m visiting from New Friend Friday, love your blog!